The legal hemp market is exploding with all sorts of products! Caught up in confusion? Heard your neighbors talk about CBD but can’t figure out the difference between hemp and marijuana products? This guide is for you! So what the heck is CBD anyway!? CBD or cannabidiol (can-nAh-bi-dEYE-ol) is regarded as the medicinal* component of cannabis. CBD is regarded as a well-studied and safe compound naturally present in agricultural hemp. CBD may support healthy stress and pain response in the body. Numerous research into our endocannabinoid system indicates CBD may also have a role in supporting proper nerve signaling, healthy cell division and balance inflammation. Our body has a cannabinoid system. All throughout our body, our cells use different messengers to communicate with each other, including our own cannabinoids. Cannabinoid receptors are found in our brain as well as throughout our periphery. Compounds such as CBD activate CB2 receptors, promoting feelings of relaxation or relief of mild and occasional pain. CBD comes from agricultural hemp, rather than marijuana. Interestingly, marijuana that people use recreationally is the same species of plant (Cannabis sativa) as agricultural hemp. Marijuana, however, is high in the presence of the compound THC, which causes one to feel high. Agricultural hemp that is imported to or grown in the United States must contain less than 0.3% THC. In contrast, agricultural hemp contains other non-psychoactive cannabinoid constituents such as CBDa and CBD (as well as essential fatty acids and vitamin E) which promote wellness in our bodies. Even though marijuana has been legalized by the state of Massachusetts, stores cannot yet sell THC-containing products. The United States congress passed the Agricultural Act of 2014, sometimes called the “Farm Bill”, which allows for the use of low THC-containing hemp in industry and agriculture. So wait, CBD will get me high? As the hemp-derived CBD we carry contains negligible levels of THC, it does not get one high, stoned, lit, etc. CBD may cause drowsiness in a dose-dependent manner. What brands of CBD do you carry? How can you take it? CV Sciences – One of the leaders in the hemp industry, they import Dutch agricultural hemp for processing into capsules, liquids and salves. They have a variety of different doses, and are known for their purity, research-based ingredients and quality extraction methods. 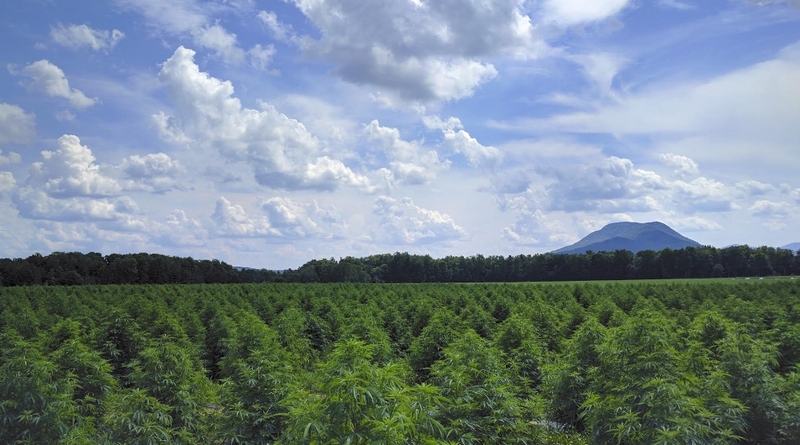 Green Mountain CBD – One of my favorites, this locally operated brand grows their own organic hemp right in the Northeast Kingdom of Vermont. They extract their hemp with coconut oil into capsules, paste or liquid tincture. Many of their products are higher doses per serving, including their beloved 20mg capsules. The Healing Rose – Based out of Andover, MA, The Healing Rose specializes in topical CBD products! They have a high potency salve, containing arnica, peppermint and ginger beyond just CBD, for those of us looking for a little bit of extra tension release. Their roll-ons with essential oil of rosemary or fir needle together with CBD are great for the neck and temples, too. Dose is a very personalized thing! I personally prefer around 5-10mg of CBD for daytime use, and maybe another 15mg before bedtime. That being said, I know some people who take 1mg a day, and I know some people who take 60mg a day. High doses of CBD (think 200mg) seem to be well-tolerated, based on studies. CBD is a GRAS (generally recognized as safe) dietary ingredient. However, although it is safe for most people to take that much, you usually don’t usually need that much. Your sensitivity depends on your genes. I invite you to be flexible with CBD use. Start with a low dose, and build up until you find your sweet spot. In my experience, one often feels CBD within an hour of use, and you can take it multiple times a day, if you wish. Can I stop taking my other medications if I use CBD? Talk to your doctor! We do not recommend changing your medications without consulting with your doctor. Disclaimer: Nothing in this website is intended as, or should be construed as, medical advice. Consumers should consult with their own health care practitioners for individual, medical recommendations. The information in this website concerns dietary supplements, over-the-counter products that are not drugs. Our dietary supplement products are not indended for use as a means to cure, treat, prevent, diagnose or mitigate any disease or other medical or abnormal condition.